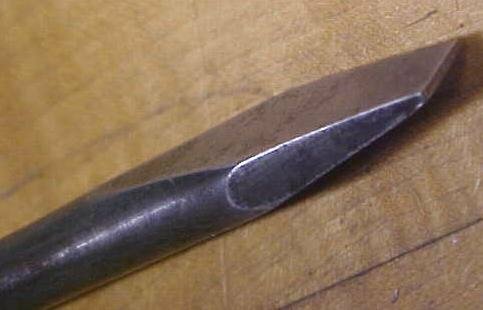 This is a rare and hard to find "PERFECT HANDLE" or "KNIFE HANDLE" (as it is sometimes called), slot screwdriver. This one matches the shape and design feature of an IRWIN, but is not marked. It is in good++ condition with no rust, good solid, well attached wood sections, the wood is clean with very little wear, a few very minor grain seperations, but not cracked, yet still in about 95% it's original shape, meaning it has no chipped off areas on the wood sections. The tip is in nice shape 5/16" wide. The actual overall length is 10". The steel is clean, nicely polished surface, very nice overall! Items Similar To "Irwin Screwdriver Knife Wood Handle 10 inch"